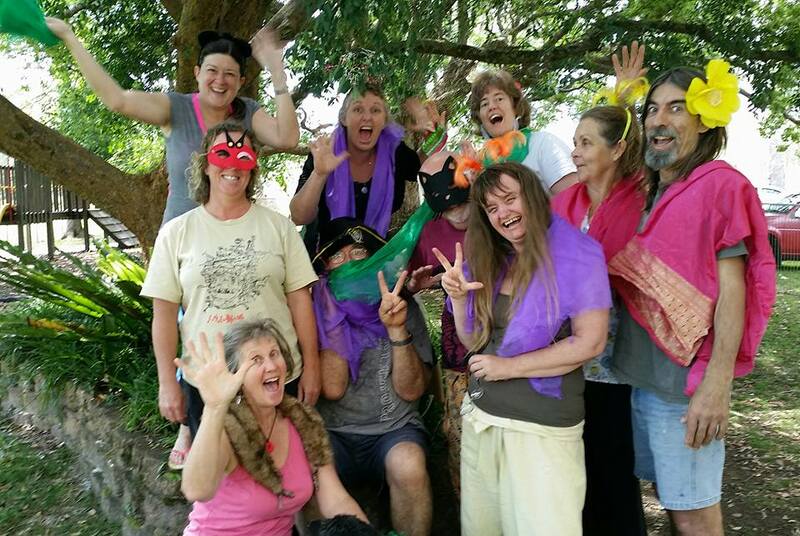 Participants enjoy a day-long mindfulness workshop at Eden Creek near Kyogle NSW, Australia. 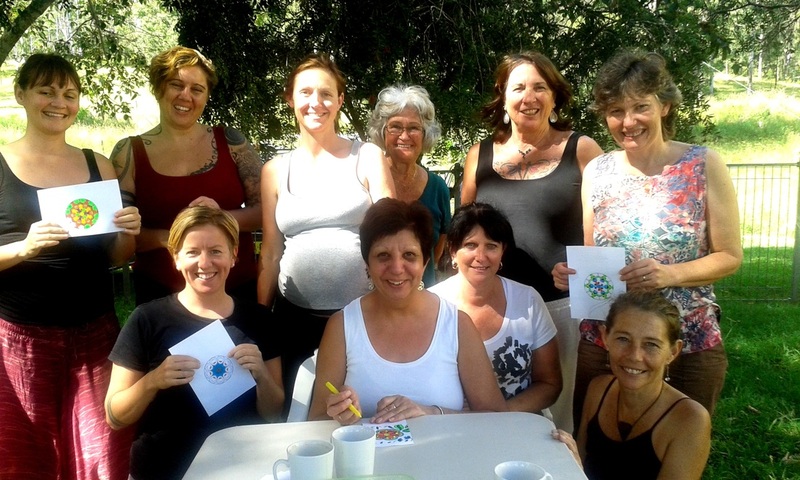 Pictured here with mandala colouring creativity. 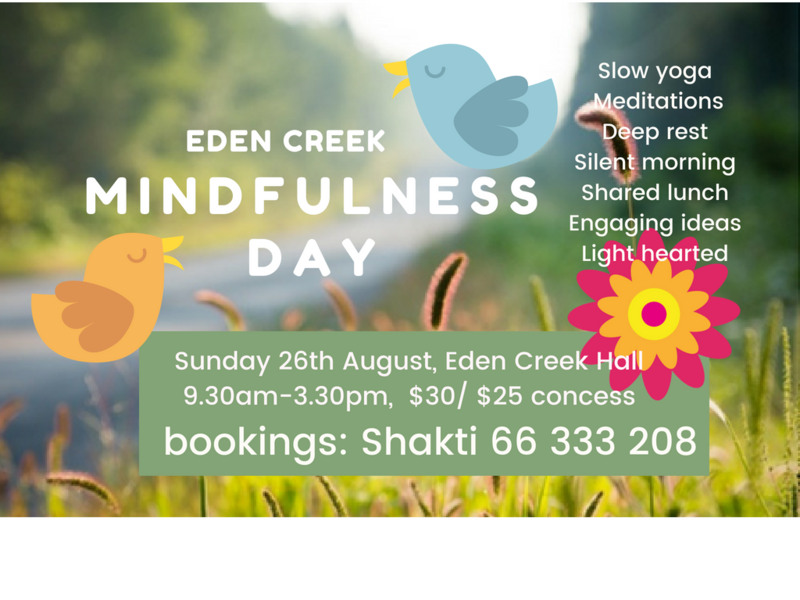 Mindfulness Workshop August 2015, Eden Creek. One of my most favourite things is to run a day-long Mindfulness in Workshop. The morning schedule is full the we take an easier pace after lunch. The day starts with a very gentle yoga stretch (no experience necessary) and the Luxury of Silence: no conversation until lunchtime. A series of guided meditations follow. If you're a beginner, no problem. I am skilled at making meditation easy, enjoyable and accessible for all. In between meditations blocks we share in some light-hearted fun to provide a balance to introspection. Neuroscience tells us that we concentrate better when we’re happy. It might take the form of music and movement ... depends on the day. 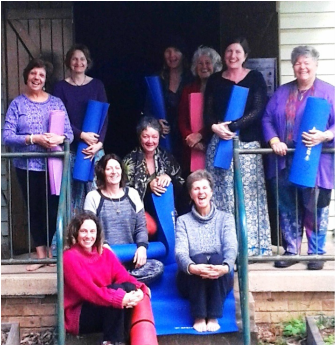 After a shared leisurely, delicious lunch comes the ever-popular Yoga Nidra (guided deep relaxation). As if you needed to relax even more! Then afternoon tea and a series of group circle activities. It may be a stint of chill-out mandala colouring; or a heart-warming Loving Kindness practice or joyful Gratitude- or a bit of them all, or whatever the group brings to the afternoon session. Please don’t hesitate to invite me to your group or community to deliver a full day of heaven. 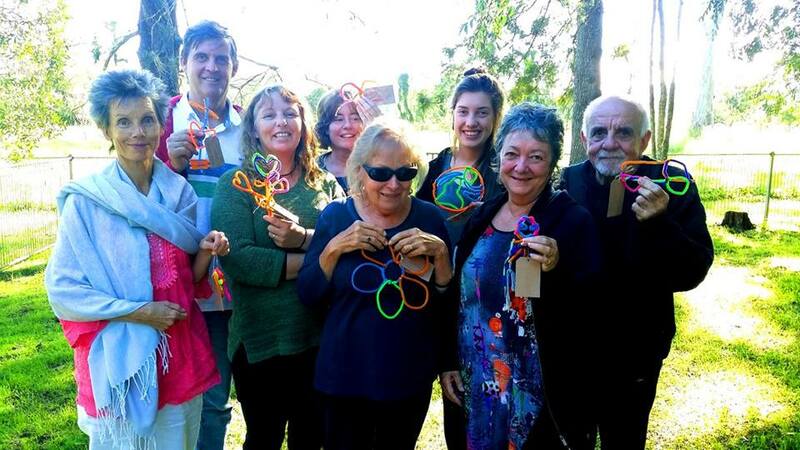 A trainer for both adults and children, I have a passion for crafting creative classes and devising games and interactive activities that bring mindfulness to life in group settings. 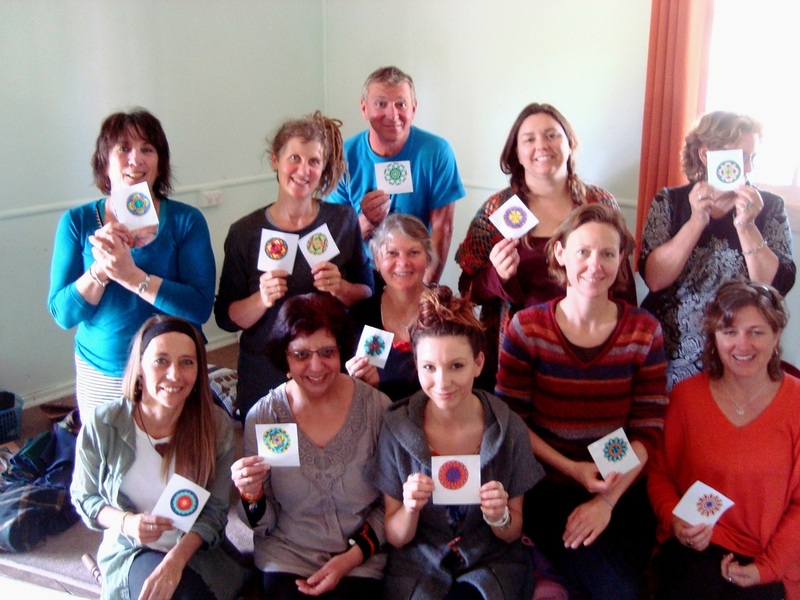 I love to deliver mindfulness training to a variety of audiences: teachers, kids, carers, teens, parents, community groups, seniors, workplace ... you name it. Interaction and fun are vital ingredients in the learning process: they prime the brain to relax and absorb new information. Light-hearted fun soothes an overwrought nervous system and brings on that all-important laugh. A great way to introduce mindfulness concepts is through games that explore the pivotal effect of mindfulness on the brain and nervous system, the core of our being. Understanding the concepts helps the practice itself fall into place.